Recorded Live at Meistersingerhalle, Nuremberg, Germany - June 11, 1971. Files: 17. :: Size: 639 MB (flac). 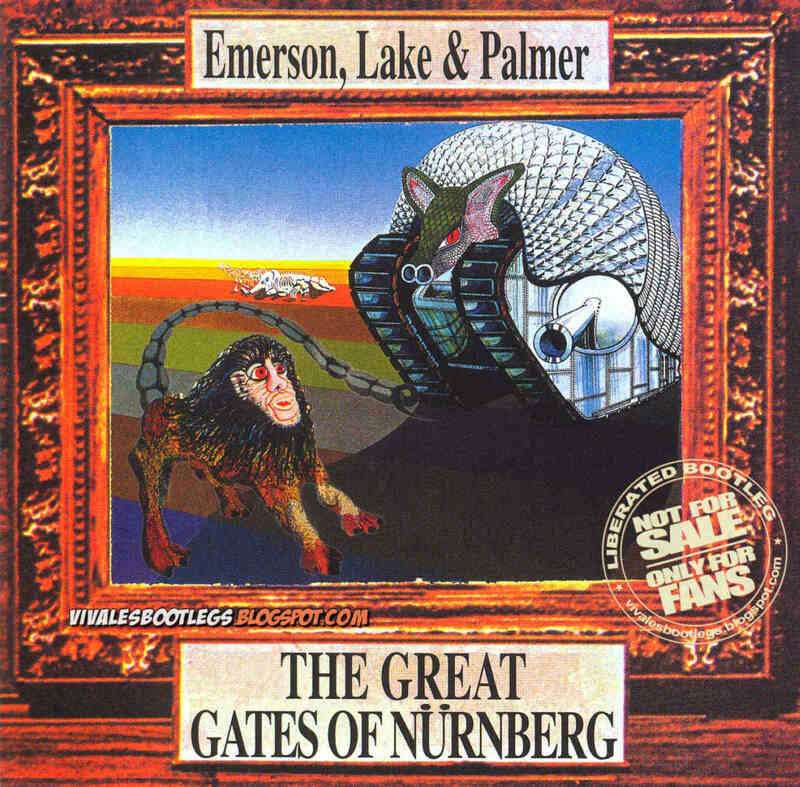 Personnel: Keith Emerson :: Greg Lake :: Carl Palmer. 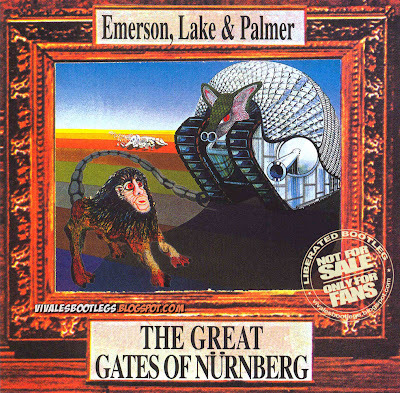 Notes: The Great Gates Of Nürnbergis one of two recent releases by the Highland label from ELP’s tour of Europe. This is right before the release of their second LP Tarkus and surpisingly only the title track is played. Some confusion about the date exists. Highland follows the common assumption and places this tape on June 11th which places it between the June 10th show in Offenbach and the June 12th appearance at the Concertgebouw in Amsterdam. Other sources place this show a week earlier on June 2nd between the June 1st gig in Karlsruhe and the June 3rd Vienna tape. The sound quality lies between fair too good. There is very little tape hiss so it is probably a low generation source used by the label. 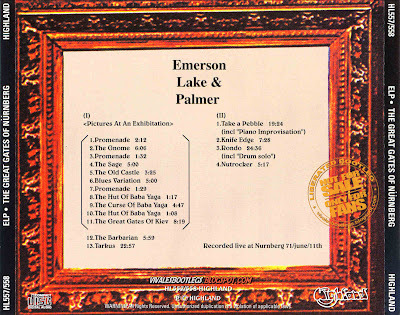 Parts of softer volume like Lake’s acoustic solo “The Sage” are more difficult to hear than the electric passages.<-(Info taken from Collectos Music Reviews). Thank you very much for this one. A nice weekend & all the best for you. I wanted to take a minute to thank you for always letting us know the recording details of a post when you post it. MP3kbps. FLAC. Whether it's an audience or soundboard recording. That helps tremendously in determining whether or not I want to spend what little time I do have downloading a show. And also because I'm a free user, it helps there so I won't waste my rationed downloads for something that I'm just going to delete later. And your cover art... it's consistently great. Thanks for everything. It's blogs like this one that helps make my day.